It’s spreading! All over the country there are local growers and designers telling the story of how amazing local flowers are. While Local Color Flowers is the only florist in Baltimore exclusively using locally grown flowers for our designs, we have never felt alone. Since we started the company four years ago, we always knew we were part of a bigger community here in Maryland and across the country with similar values and goals. 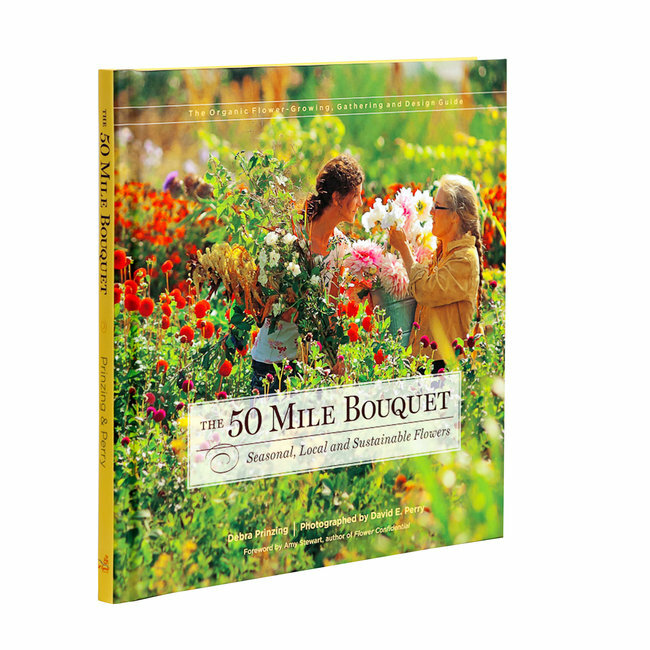 That’s why I was so proud and excited to see the New York Times article yesterday about Debra Prinzing’s new book called The 50 Mile Bouquet. What an amazing book showcasing what the author calls “the slow flower movement”. Farms, farmers, flowers and design techniques are highlighted throughout the book with beautiful photos and engaging stories. If you love flowers, you need to own this book! Local Color Flowers is built on the belief that buying local is both beautiful and the right thing to do. I’m always excited to hear about others that share this belief and act on it. Debra Prinzing and others like her inspire me to make Local Color Flowers the best company it can be. I’m super energized to start a new season providing beautiful, locally grown, seasonal flowers to our clients leading the way locally to changing the industry. Jump on the bandwagon! Buying local is beautiful and the right thing to do. Spread the love today!